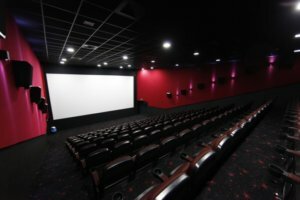 PJSC Multiplex-Holding, which develops the Multiplex cinema chain in Ukraine, plans to expand the network in Ukraine by 30% in 2019, co-owner of the Multiplex cinema network Volodymyr Trofymenko has told. “Today Multiplex is the leader in the cinema market of the country: the company has 129 cinema halls and occupies more than 35% of the country’s film screening market. Our main goal for 2019 is to expand the network by 30%,” he outlined the company’s plans for the coming year. He also reported on the updated membership of the Multiplex-Holding supervisory board. Vladyslav Burda (RedHead Family Corporation) became the head of the supervisory board, e-commerce is supervised by Vladyslav Chechotkin (Rozetka), Oleksandr Pochkun (Baker Tilly Ukraine) is in charge of finance and audit, Maksym Bakhmatov (UNIT.City) for business development and sales, Oksana Semeniuk (Сhangers) is responsible for personnel management, and Ksenia Trofymenko (Multiplex) for the construction of new cinema halls of the network. According to him, the tasks of the supervisory board include building a strategy for the sustainable development of the network, the formation of a top management team, principles and processes of work with staff, organizational structure and design. “Now our task is to approve plans for the year and monitor their implementation so that in six months we will report on the results. The client service will gradually improve, the mobile application and the company’s fixed assets will be updated, another 40 network cinema halls will open and so on. It’s better to talk about the rest later – when the results of work are visible,” he added. JYSK Ukraine LLC (Kyiv), developing a network of JYSK furniture and household goods stores in Ukraine, will open the fifth store in Odesa, thus expanding the network in the country to 48 stores. According to the company’s press release, the store with an area of 990 square meters will open in the City Center shopping center in Odesa on December 20. The facility will operate in the new 3.0 format for the JYSK network: it provides more space, light, an expanded assortment and updated cash desk zones. “The 3.0 format was introduced in September. And now there are two such stores in Odesa. 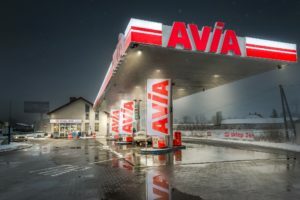 We took a good pace: 11 JYSK stores were opened in 2018, four of which are in the new format. Next year we will continue to dynamically expand the network in different regions of Ukraine,” Executive Director of JYSK in Ukraine Yevhen Ivanytsia said. As reported, JYSK Ukraine plans in 2018 to open up to 12 new outlets in the country. The JYSK network began to develop in Ukraine in 2004. As of November 29, 2018, the network had 47 stores in 20 cities, as well as an online store.